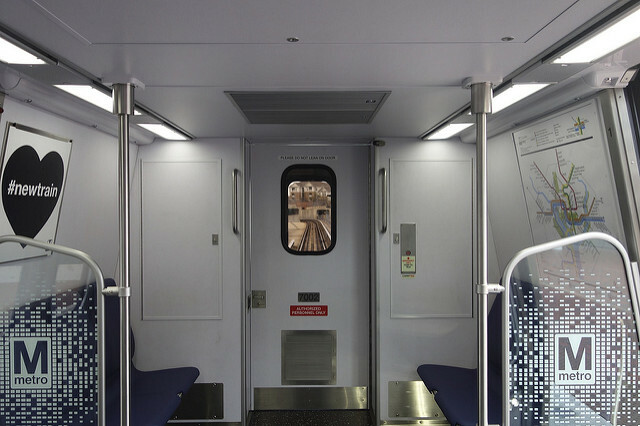 Following the conclusion of the SafeTrack emergency maintenance program in June, Metro customers have seen improvements in Metrorail service reliability. In August, 89 percent of trips (13.6 million trips) arrived on time based on actual customer “tap in/tap out” travel time data. Metro credits the accelerated delivery of popular 7000-series railcars–combined with the retirement of all 1000- and 4000-series railcars months ahead of schedule, fewer track delays, improved railcar maintenance and recent schedule adjustments–with helping to keep customers on time. Metro’s railcar “Get Well” program — an intensive maintenance program to address issues with the system’s “legacy” fleets — along with unprecedented infrastructure rebuilding under SafeTrack and an aggressive new preventive maintenance plan for infrastructure, have all contributed to reductions in delays. In addition, Metro is testing new methods to address the issue of water infiltration a historically troublesome stretch of the Red Line. Metro also reported significant improvement in on-board passenger comfort and a steep decline in “hot cars,” with HVAC systems performing nearly 60 percent better in July 2017 compared to July 2016. Metro customers report their satisfaction and overall experience is at the highest rate in two and a half years, with 72 percent of respondents noting that Metro rail and bus service is “getting better.” Meanwhile, rail ridership, which had been declining due to emergency maintenance and a variety of other external factors, finally appears to be stabilizing. Metro’s turnaround has been driven by the largest-ever annual capital investment in the system. The record $1.16 billion in capital spent last fiscal year, including $700 million in federal grant reimbursements, led to improved track infrastructure, railcar reliability and escalator performance. Each month, another 20 new 7000-series railcars arrive, with 50 of the new 7000-series trains (400 railcars) now in service. As a result of Metro’s aggressive efforts to replace and rehabilitate escalators to like new condition, the average effective age of a Metro escalator is now 10.5 years, the lowest it has been in decades. Last week, Metro completed the installation of the system’s two newest escalators at U Street Station. The project was completed weeks ahead of schedule. Overall, Metro, the largest operator of escalators in the Western Hemisphere, has replaced 80 escalators since 2011 and rehabilitated 153 more to “like new” condition with all new components.